SOLD! 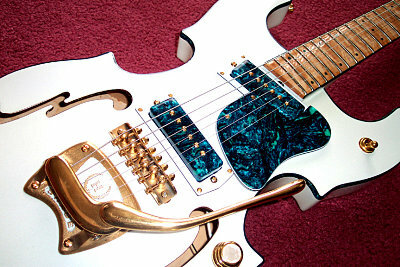 Hallmark Stradette Hand-built by Master Luthier/Designer Bill Gruggett SOLD! 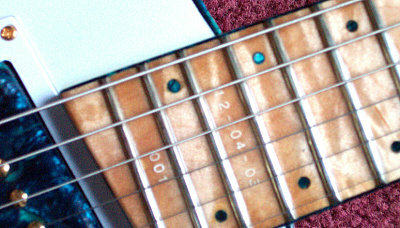 I am proud to announce the re-birth of the Stradette once again in a very limited hand-built series by Hallmark Guitars! 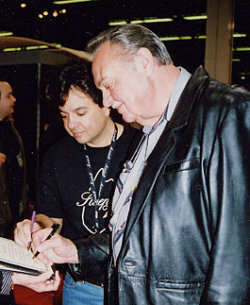 For those of you who are unfamiliar with Bill Gruggett and his work, he worked along side Semie Moseley of Mosrite guitars from 1962 through 1966, building all of the very first Ventures Model guitars by hand, and eventually overseeing production as General Manager of the Mosrite facility in it’s full production status in the mid 60’s. 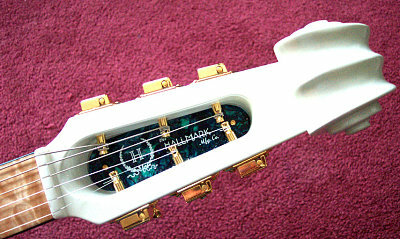 Bill left Mosrite to help run Hallmark Guitars and to work with Joe Hall on the wonderful SweptWing guitars. 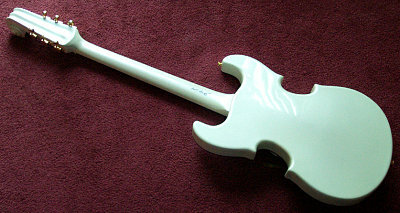 While there Bill created the first 6 string “Stradette” model guitar which is now on permanent display in the Bakersfield Museum in Bakersfield, California, along with one of Joe Maphis’s Mosrite doublenecks. 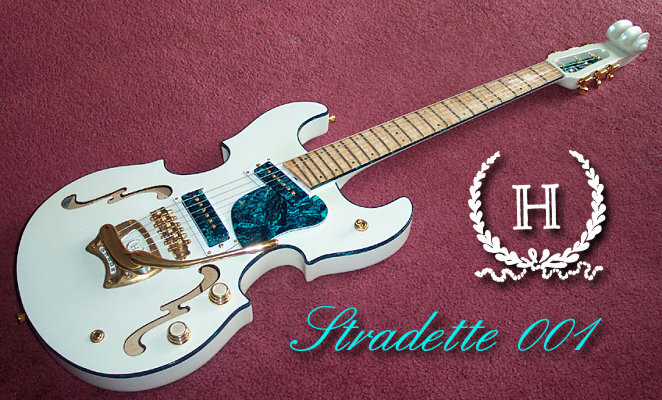 This first model created is the only existing Stradette with an elegantly hand carved scroll headstock. Until now!! 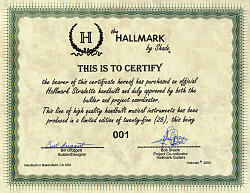 Bill is back with Hallmark once again to share with the world his wonderful handmade Stradettes once again! This will be a very limited and hand signed and numbered series of 25 units. If you have never seen any of Bill’s hand work, it is nothing short of the highest custom standards and the finishes are museum quality! 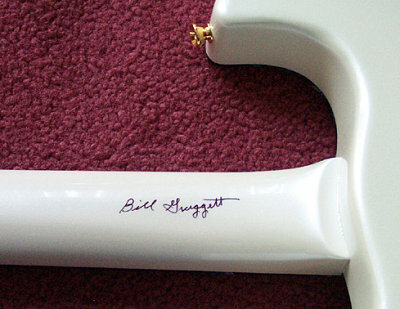 Signed and dated on the inside and out by Bill Gruggett, and comes with a signed certificate of authenticity by Bill and myself Bob Shade, project coordinator for Hallmark Guitars. Also included is a top-of-the-line padded gig bag by TKL. SOLD! Price is $3995.00 US dollars SOLD! (includes shipping) for this once in a lifetime opportunity to own this #001 Hallmark Stradette guitar in a historic and very limited hand-built series by master luthier Bill Gruggett. All inquiries can be sent through the contact page on this website.